Gregory Fowler has been named president of the Global Campus at Southern New Hampshire University. He had been serving as chief academic officer for SNHU’s online programs since 2012. Dr. Fowler holds a bachelor’s degree in English and political science from Morehouse College in Atlanta, a master’s degree in English and teaching of reading and writing literature from George Mason University in Fairfax, Virginia, a Ph.D. in English and American studies from the University at Buffalo of the State University of New York System, and an MBA in management and strategy from Western Governors University. Fred E. Washington has been appointed vice president and director of athletics at Prairie View A&M University in Texas. He has worked for the university for 27 years in various roles including associate vice president for finance and administration and vice president for auxiliary services. Washington holds a bachelor’s degree in accounting, an MBA in management, and a master’s degree in community development from Prairie View A&M University. Kevin Wade has been named associate vice chancellor for student affairs at Elizabeth City State University in North Carolina. He was dean of student services for Laney College in Oakland, California. Dr. Wade is an alumnus of Elizabeth City State University where he double-majored in political science and public administration. He holds a master’s degree in public administration and a master’s degree in human resource management from Troy University in Alabama, and a doctorate in community college leadership from Morgan State University in Baltimore. William Welburn has been promoted to vice president for inclusive excellence at Marquette University in Milwaukee, Wisconsin. He was formerly the executive director of institutional diversity and inclusion. Dr. Welburn holds a bachelor’s degree in journalism from Syracuse University in New York, a master’s degree in library science from Atlanta University, and a doctorate in library and information science from Indiana University. Larry Burks has been named director of military and veteran services at Wichita State University in Kansas. He currently serves as the president of the Wichita chapter of the NAACP. Burks holds a bachelor’s degree in pre-medicine and biology from Jackson State University in Mississippi. He is a retired lieutenant colonel with more than 20 years of military experience. Kimberly Allain has been named associate vice president for employee and organizational development and advancement in the Division of Administrative Affairs at California Polytechnic State University in Pomona. She was the director of employee and organizational development at the University of California, Riverside. Allain holds a bachelor’s degree in psychology from the University of California, Los Angeles and an MBA in organizational leadership from Brandman University in Irvine, California. Pamela Lewis has been named assistant vice president for strategic advancement systems at George Mason University in Fairfax, Virginia. She was the university’s director of research and prospect management. Lewis holds a bachelor’s degree in journalism from New Mexico State University and a master of public administration degree from George Mason University. Kendall Isaac has been appointed general counsel at Dickinson College in Carlisle, Pennsylvania. He was general counsel and chief of staff at Fort Valley State University in Georgia. Dr. Isaac holds a bachelor’s degree from Ohio State University, a juris doctorate in labor and employment law from Capital University Law School, and a doctorate in higher education administration from Columbus State University in Georgia. 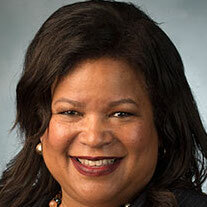 Shawnta Friday-Stroud has been named vice president of university advancement at Florida A&M University. She had been serving in that role on an interim basis and is the former dean of the School of Business and Industry. Dr. Friday-Stroud holds a bachelor’s degree in business administration and an MBA from Florida A&M University and a Ph.D. in business administration from Florida International University.